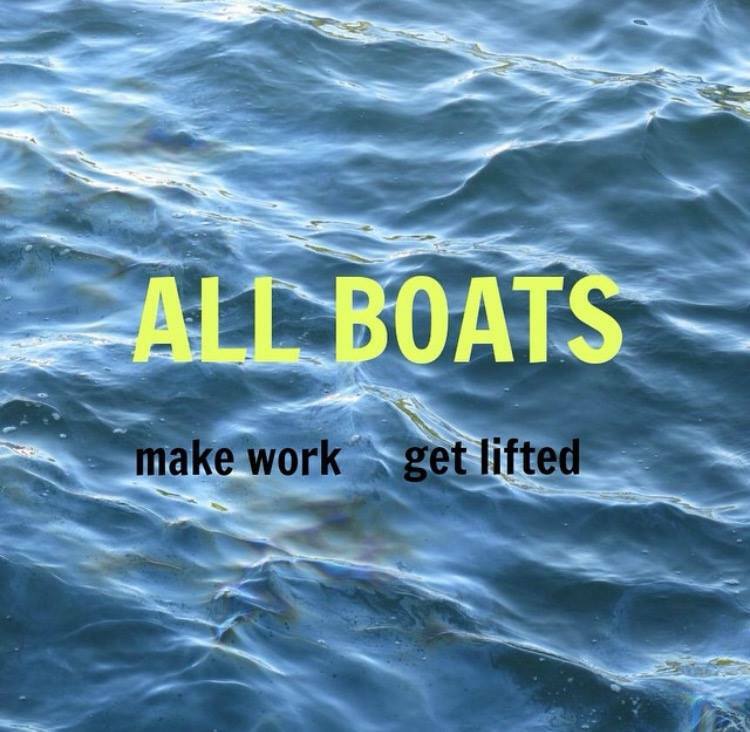 ALL BOATS was founded in JANUARY 2015 in NYC. It is an evening of new 10 minute pieces spanning theater, dance, song, film, stand up, performance art and beyond--giving the opportunity to six multi-disciplinary artists to explore their creative process and expand their artistic community. After presenting work, each artist is asked to nominate someone they feel would most benefit from the invitation to create work. In this way, ALL BOATS continues to organically expand and generate a unique, diverse and inclusive community of artists. ALL BOATS believes in the power of unity rather than exclusivity--together, the art and positivity we create elevates us all. We now serve three communities in NYC, LAX and PDX. ALL BOATS was founded by JULIA BRAY a performer, writer, creator, and teacher from Portland, Oregon. She believes in the power of deadlines and safe spaces. Sometimes, in order to excavate our most precious creative treasures, we need a little push. She created ALL BOATS to encourage a playful exploration of the creative process and to give others the euphoria of sharing what they love. The grueling aspects of the industry as a business can weigh heavily on creators. This performance series hopes to support artists as they support each other--after all, a rising tide lifts ALL BOATS.